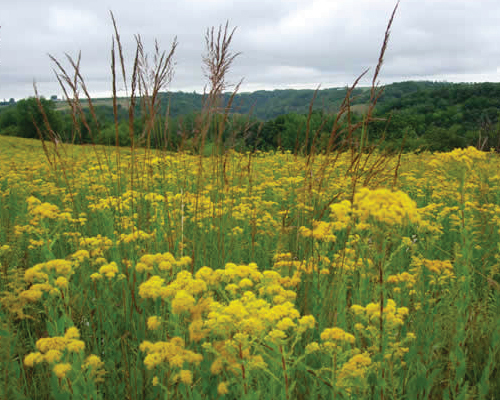 Solidago is a very versatile wildflower. This plant blooms its showy cluster in the late fall. 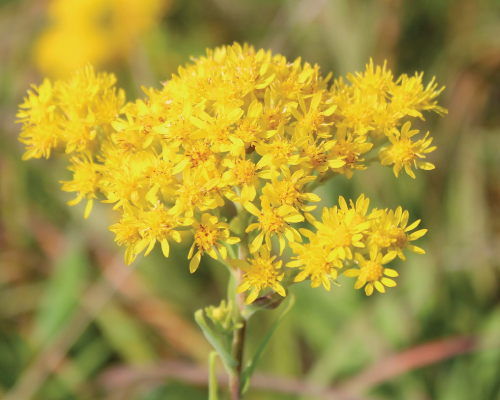 Solidago is very attractive to butterflies, bees, hummingbirds and other small birds because of its sweet nectar and seeds. Not only are the flowers beautiful, but the leaves turn from green all summer long to a lovely shade of red in the fall. The Stiff Goldenrod Solidago produces stunning, large and slightly flat golden flowers that are bee attracting powerhouses!